March 29, 2018 By Liz 10 Comments Note: This post may contain affiliate links. I’m back with my fourth meal kit review! 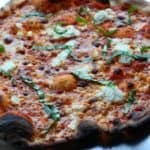 This week, I’m sharing my experience with Chef’d! If you missed my first post, here’s the deal: I’m trying all the meal kit delivery options to figure out which one is best for vegetarians. 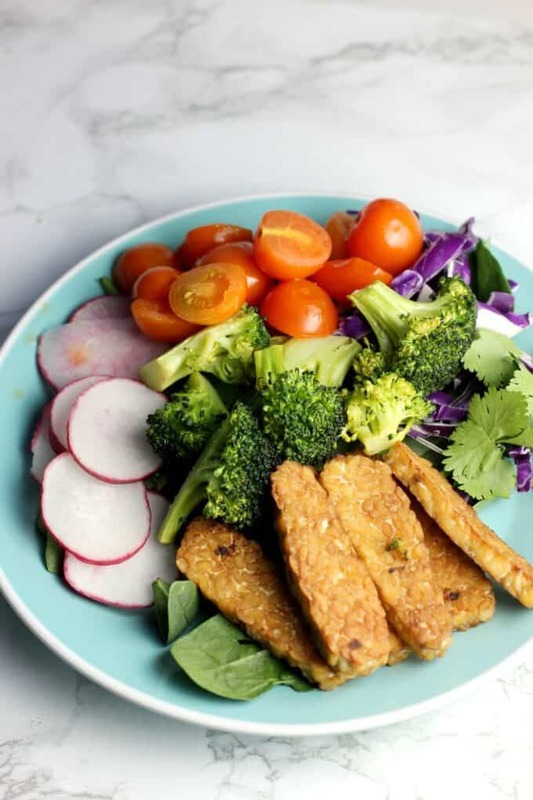 Most of the pros and cons apply whether you’re trying the meatless meals or the regular meals, but I’ll focus on the vegetarian options. My goal is to try a different one each week and I’ll compare them on a few factors. Once I try them all, I’ll write a comprehensive summary! Note: I received a complimentary box from Chef’d in exchange for an honest review. This is not a sponsored post and as always, I’m sharing my honest opinion. Here we go! Like all meal delivery kits, Chef’d boasts quality ingredients and delicious recipes. What separates them from the pack is that Chef’d offers more than just dinner options. You can add breakfasts, sides, or desserts to your box. I could see this being a game changer if you wanted to skip grocery shopping entirely. They had recipes like french toast, mashed potatoes, or overnight oatmeal jars for two that could be added on for around $8-10 dollars. The other unique thing about Chef’d meals is that the prices are based on the recipe. While a steak dinner for two might be $42, you could get two servings of fettuccine for just $19. I liked this format because you felt like you got your money’s worth even if you ordered a pasta dinner. Since the vegetarian recipes tend to be cheaper to prepare, I liked that we were able to save a few bucks compared to the omnivore meals. The other thing that sets Chef’d apart is the amount of recipes they offer. When I scrolled through the vegetarian dinner options there were 126. Yes, 126 different vegetarian dinner recipes to choose from. Most of the other meal kits we tried had 3-5 vegetarian options which meant sometimes you didn’t even get to pick, you just had to go with the 3 that were offered. There’s no shortage of choices on Chef’d. Sweet Potato Gnocchi– Sweet potato gnocchi and broccoli rabe with a cream sauce. 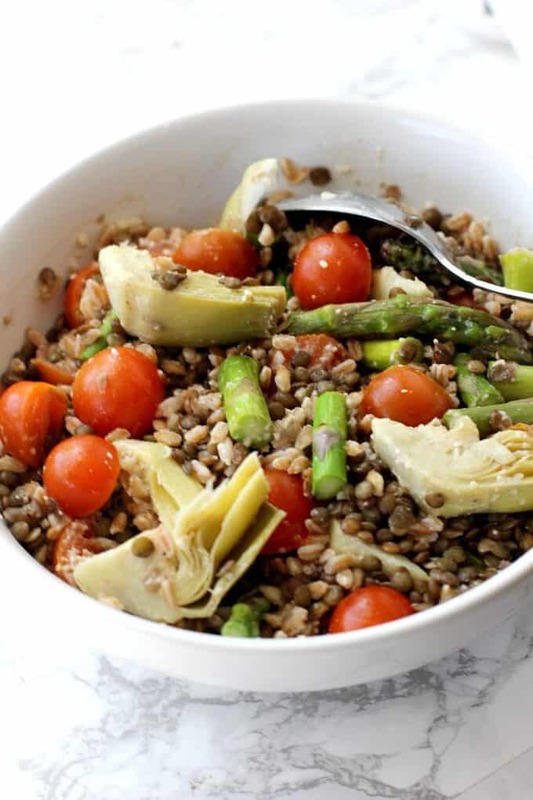 Farro and Lentil Salad– Farro and lentils tossed with tomatoes, asparagus, and artichokes, with a lemony vinaigrette. All of these meals made plenty for the two of us and we usually had about ½ a serving leftover. I think the portion sizes of the Chef’d meals are more generous than other meal kits we’ve tried. Our favorite meal was the farro and lentil salad. I really liked the vinaigrette which was a combination of olive oil, champagne vinegar, garlic, dijon, and lemon. It was light but had plenty of flavor. Even though we prepared this meal four days after our box arrived, all of the vegetables were still fresh and delicious. The sweet potato gnocchi was our least favorite. The gnocchi was too sweet for our tastes and the cream sauce was very runny, so it almost felt like we were just adding milk on top. The flavor of the sauce was good, but the texture of it was off. We ate it but we didn’t really enjoy it. The tempeh salad was super healthy. (It was a “Dr. Oz” meal, according to the website.) I had high hopes because I love tempeh but the marinade didn’t have enough flavor for the whole dish. It felt like we were eating a salad without dressing. All of the vegetables were great, (crunchy radishes, bright green spinach, crispy purple cabbage…) but they needed a little something extra to make this a winner. Sweet Potato Gnocchi– 37 minutes | 1 skillet, 1 small saucepan pan, 1 cutting board. I also had to roll all the gnocchi because they had gotten squished together in the box. The suggested prep time was pretty close to the actual time it took us for each meal. All of the recipe directions were very clear and nothing was too challenging to make. Although there tended to be a lot of things to prep which meant extra dishes and more clean up time. To order all the ingredients from Instacart, it would cost me $63.06. So if I had an empty pantry and had to start from scratch, buying all these ingredients would cost me about $20 less than the box. Of course, if I bought all the ingredients from the grocery store, I’d end up with extra ingredients that I could potentially use in other recipes. As I mentioned with my other meal kit reviews, if your leftover ingredients tend to go to waste, the cost of these meal kits might not be much higher than your grocery bill. Plus, you save yourself a trip to the store. 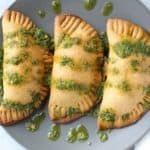 In this case, though, I think I’d be able to make these at home for quite a bit less. I really enjoyed the farro and lentil salad which is a good balance of great taste and a healthy meal. I didn’t love the others but the overall service was good so I’d be willing to give them another chance. These weren’t the fastest or easiest recipes but I felt like the overall value for Chef’d is pretty good since the cost depends on the recipe. I think one of the biggest benefits to Chef’d is the ability to customize your order. If you truly wanted to avoid the grocery store you could order breakfast, lunch, dinner, and dessert! What’s your favorite meal kit? Great timing, we’ve been thinking of trying some of those meal kit services. Going to check out your other reviews too! So many to choose from now! This meal kit service sounds so great and lots of healthy delicious looking options too! Ooh I’m always curious about the veg options in these meal kits. Thanks for sharing this review! 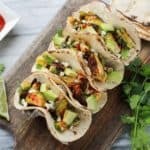 These meal kits sounds perfect for vegetarians! Love how many options there are to choose from! Yes! I couldn’t believe there were over 100! Well, I love it that vegetarian meal kits are an option in our world…shows how far we’ve come with the importance of eating healthy. Yay! Great review here! You’re so right! 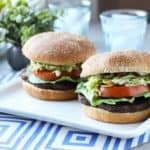 All of the meal kits at least HAVE a vegetarian option! I am loving these meal kit reviews! I have been trying a few out (Plated, Sun Basket, HelloFresh, and HomeChef), so I think I need to try Chef’d next!! Which has been your favorite?! I think mine (so far) has been Sun Basket! Ohh I have tried HomeChef yet! I think my favorite so far would be Plated. Their meals were goodand easy to prepare. Plus I think it’s a good price!